If you want to practice reactive, proactive, and predictive risk management in aviation safety management systems (SMS), you first and foremost need to understand the difference between these types of risk management in modern aviation operations. Understanding what each type of risk management is does not involve just understanding the “conceptual” difference, but how each practice differs in the actual operational environment. Inability to clearly define what each type of risk management looks like. The important distinction above in practicing reactive, proactive, and prediction risk management happens on a bureaucratic/management level, as well as an issue by issue operational environment level. Reactive risk management is the first type of risk management that an aviation SMS will practice. We might call this “baseline” risk management because it’s the type of risk management processes that will be built first in safety programs. Here are the basic elements of practicing reactive risk management. Understanding of link between hazard and risk occurrence in your safety program. Prevent recurrence of a safety issue. developed supporting safety cultures that increase proactive hazard identification and reporting among employees. In short, proactive risk management will be more relevant as an SMS implementation matures and employees embrace the concepts of just culture. 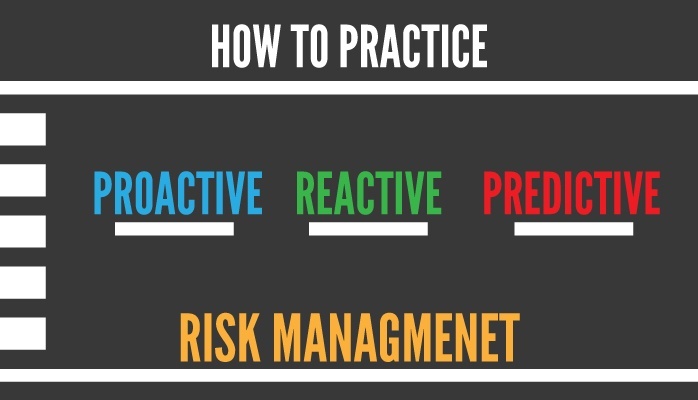 Here are the basic elements of practicing proactive risk management. Understanding main root causes, hazard mechanisms, and threats to SMS program. Identify growing threat from root causes before the hazard occurs. Understand underlying causes of safety behavior. Predicative risk management involves attempting to foresee safety concerns that have not occurred in the operational environment by reviewing and analyzing historical data. Trend analysis is perhaps the most well-known predictive risk management tool in a safety manager's toolkit. Strong understanding of Human Factors in the operational environment. Demonstrate continuous improvement of the aviation SMS. Establish clear, relevant activities for your aviation SMS program. To increase your ability to sustainably practice risk management in your aviation SMS, you will find that that an SMS database is the required technology to acquire, store and retrieve safety data. If you want to have a real SMS and not a paper SMS, we can help you achieve your goals. Ask us to be your SMS partner. Published September 2017. Last updated January 2019.